A recent case in England & Wales -with more gusto and clarity than ever- has demonstrated the importance of finalising the financial details of a divorce. If this process is not adequately completed, then the consequences could be that an ex-partner may apply for a share of your asset’s many years later. The case involved an ex-husband applying for a financial share of the assets 25 years after the divorce. Married in 1983, the couple were married for nine years, divorcing in 1992. The Wife went onto have a highly successful and profitable career elevating her estimated asset value to the sum of £4.7 million. The Husband’s career was less successful with an estimated asset value of £60,000. Included in this value was his pension. In 2016, the Husband decided that he would seek what is known as a ‘financial solution’ from his ex under the Matrimonial Causes Act 1973. The Husband was responsible for looking after the couple’s children after the divorce. The Wife, together with her new partner spent £600,000 on purchasing and renovating a house for the Husband and children alongside other financial support provision. At the time of the divorce, neither party sought legal advice and thus, there was no formal settlement had been made in regard to the financial element in the divorce. It appears, according to the findings of the high court recently that the Husband and the Wife had believed that the marriage had been finalised and that there was no further need for written finalisation. Although this is a case which the Court dismissed the husband’s claim, the Court did acknowledge that in some cases there may be a justification for one or other of the parties to make a financial claim many years later. The only reasons that this example failed is because there was an informal agreement which was acknowledged by the Courts. The husband did argue that this agreement was only in place because he agreed under duress and was under a lot of pressure to accept it. This claim was subsequently dismissed by the Court. The Husband also sought to remain in the house which was purchased by the Wife for him and the children. This was rejected as the Courts found that his current Wife owned property where he could live. It was the lifestyle of the Husband that became an issue in determining his Wife’s obligations. The Wife had given the Husband the financial support which they required; it enables him to care for the children and to choose his own career path. As a result, the wife had fulfilled her financial obligations and to ask her to pay any further would not be fair. Seatons understand that a divorce case can be very difficult and upsetting while getting Lawyers involved may be the last thing on your mind. For your own peace of mind, due to the knowledge that once the divorce is finalised there would be no repercussions, it is advisable that both you and your spouse seek legal advice. 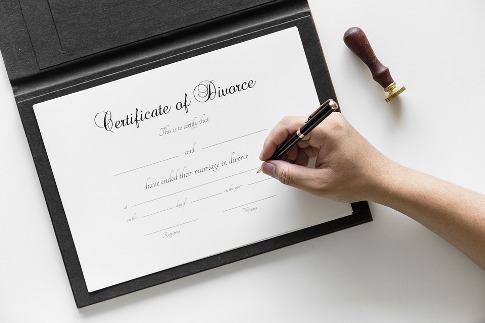 If you are unsure on any of the elements of this article, this is a handy page to read with everything you will need to help you with the Divorce Process in England and Wales. If you need help or assistance with getting a divorce or dealing with assets after a relationship breakdown then contact us by phone free on 0800 3 10 11 12 or contact us online.